Ball pectin powder for delicious jams and jellies. 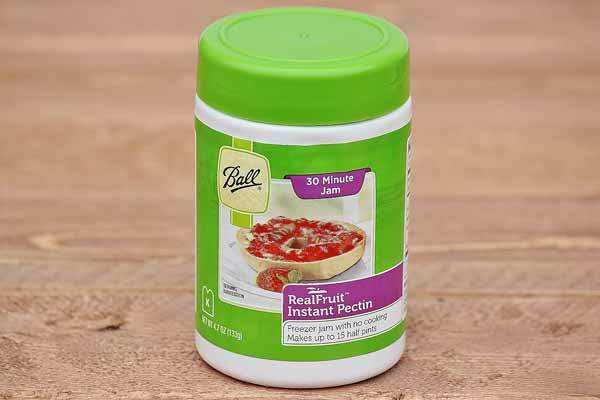 Instant pectin takes less than 30 minutes to prepare! No cooking required. Customizeable recipes and batch size with included instructions. Use no-calorie sweeteners for a healthy twist. One bottle replaces 3-4 boxes of pectin. Makes 15 half pints. Made in the USA.